I have acess to Nuuvem store with Brazilian prices (Brazilian only games are exluded) and to Gamersgate with Brazilian and Russian prices. I can buy the games you want and send the keys to you. · I am NOT responsible for region locked Keys. · There is no possibility to refund games from these stores. Head over to NUUVEM/Gamersgate or IsThereAnyDeal to check the Prices. Use the "Friend/Family" Option to send me the money (any fees will be on you). Add this disclaimer: "The Seller is Not Responsible for Region Locked Keys. It's entirely my fault if it´s region locked"
Add this comment: "This payment is for Virtual Game Key(s) to be activated in Steam or Uplay. I understand that I will not be allowed to chargeback for this payment under any circumstances. I recognize that all sales are final, and not refundable." According to current PP exchange rate, 6.15$ would be 5.59€. Looking to the previous list, you have to add 1.5€ to that amount, so you should send me 7.09€. In Nuuvem, The Witcher 3 GOTY can only be activated in GOG.com, not Steam. 3 games successfully bought and traded at Nuuvem. Hi there, is it possible to purchase multiple (two, actually) copies of the same game? I can do it by creating multiple nuuvem accounts, so no problem with that. How much would a grand total on Nuuvem of 207 BRL cost in USD/EUR considering PayPal and your cut? How much for Resident Evil 2 Deluxe Edition? Do you know if RE7 had a LATAM level restriction or Brazy only? And the price would be the same if I send you the money from my currency (MXN)? No veo que tenga ninguna restricción pero no sé si es porque aún no la han puesto o porque realmente no va a tenerla. El precio se incrementaría un poco porque tú tendrías que asumir los costos de conversión de moneda de PayPal. La cuestión es que yo tengo que recibir en mi cuenta PayPal esos 44,27€. Si no me he equivocado en las cuentas, tendrías que enviarme el equivalente a 46,67€, que serían 997,61MXN, todo con el cambio actual de PP, para que yo reciba esa cantidad. Creo que no me arriesgare al bloqueo regional si es que llega a tener pero si cambio de opinión te digo y muchas gracias por tu atención! En este caso yo creo que es lo mejor. Aquí estoy si necesitas alguna otra cosa. Hi ... am interested in AC Odyssey Season Pass ... should be 11,76 € plus 2,- € right? · The Seller is Not Responsible for Region Locked Keys. It's entirely my fault if it´s region locked. If you are still interested I would give you the exact price (it will vary very little). EDIT: After the trade has been completed, "AC Oddyssey Season Pass" is confirmed to be region restricted so it needs to be activated using a VPN. Hi there! Yes, I know all these things :) But I cannot buy for myself as Nuuvem checks, where my paypal account is from. So, yes, please give me an exact price! 49,99 BRL should be around 12,35 Euro atm! PP exchange rates are different from the real ones. And all conversion fees are on you. 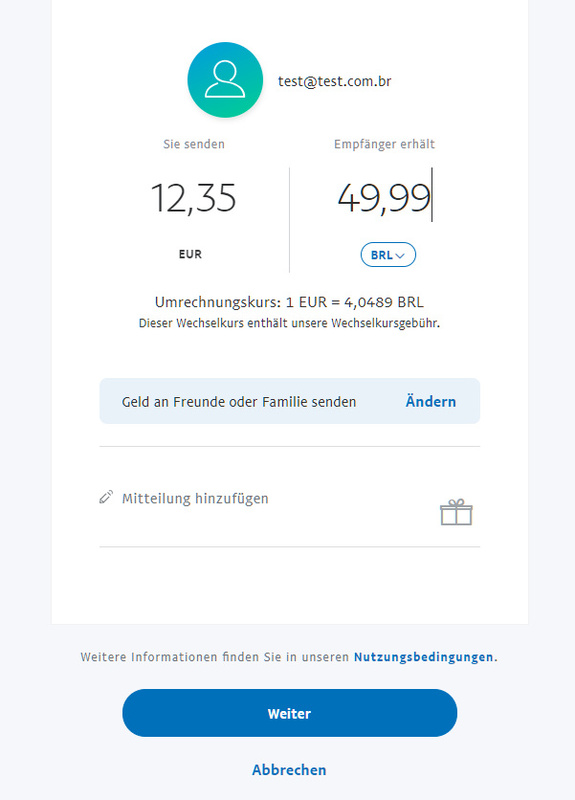 With current ones you have to send me 13,95€ + 2€ = 15,95€. I've seen that you need the base game for this to work, do you have it? So it seems there is a direct exchange EUR --> BRL. I have to move money from my EUR account to USD in my overseas account. After that, I've got to pay in BRL at Nuuvem store so there are two coin exchanges and a few other PP commissions involved. I have no way to do it directly fro EUR to BRL. Trade done without problems for 13,95€ + 2€ = 15,95€. Hello ! I am interesting in buying Jurassic World Evolution. Would you mind confirming that, according to steamdb at least, it's region-free ? What is your price ? Thank you ! There are no current offers for this game at Nuuvem (anyways, it's way cheaper than in Steam). It costs right now 79,99$R, which are roughly 22,5$, so you should send me 22€ + 5€ = 27€ This amounts would have a little variation according to PP exchange rate which I haven't updated to do the math. What I don't know is if I will be able to buy it again as Nuuvem requires a verified PayPal account to buy this game and I've already bouhgt it 3 times with my only overseas verified account. If you want it I could try to buy it first and then you'll send me the money. Nice. You can go ahead and make an attempt to buy the Deluxe version, I'm ready to buy it off you if it works. edit : if I'm not online/not available tonight I'll comment here or add you tomorrow to finalize (if you confirm you've been able to purchase the game). Bye ! Added to Steam to send you the key and my PP email address. Hi, I'm looking to buy 2 games from Nuuvem. Can you tell me the total cost I'd have topay to you in EUR? Those games are not for Steam. They are for ArenaNet and I don't know if you will be able to activate them if you are not from South America as I don't know if they are region restricted and I don't have any tool to check that. I wouldn't risk to buy them if I were you. Hi, I'm 100% confident that they are region free. So if you would like to buy them for me, let me know what to do! I'll gladly take the risk. I know they are not for steam, that's no problem for me! This amount would vary a little because I haven't updated PP exchange rates in my Excel. Thank you for the keys. I'm very satisfied with my purchase!